You wouldn’t expect that a panel discussion by former charter revision commission chairs would be enlightening or amusing, but it was both. 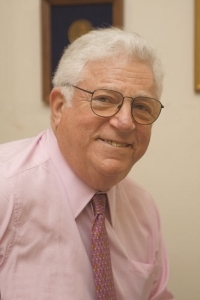 Monday’s webcast panel at Baruch College featured former commission chairs Richard Ravitch (1986-88), F.A.O. Schwarz, Jr. (1989), Randy Mastro ( 1999, 2001), Frank Macchiarola (2003), and Ester Fuchs (2005). Current commission chair Matthew Goldstein moderated; several of his colleagues participated in the questioning. The senior panelists agreed that Mayor Bloomberg’s 2010 commission has no choice but to address term limits (although they couldn’t agree on how), that New York’s strong mayoralty must continue, and that the borough presidents’ offices should be strengthened. What they didn’t agree on — term limits, their impact on minority voting, the fate of the public advocate, and non-partisan elections — provided some lively back-and-forth. Ravitch and Schwarz embraced their elder-statesmen roles readily: Ravitch cautioned the 2010 commissioners that they will have a difficult task overcoming America’s current distrust of government, which he called “scary.” Schwarz, who, together with law professor Eric Lane is largely responsible for today’s strong-mayor form of City government, observed that control over service delivery makes New York’s mayor more powerful within his limited sphere than the President or the Governor. In his opening statement, Schwarz adjured 2010 commission members to avoid making the mayoralty any stronger than it already is, and reminded them that it is important “to preserve other voices,” such as the Public Advocate and the City Council. Later, Schwarz, who, with Ravitch, dominated the evening’s proceedings, revealed why he was concerned about further increasing the power of the mayoralty: The “balance” that his 1989 commission had achieved between a strong mayoralty and an expanded City Council hadn’t contemplated term limits. Today, Schwarz fears that voter restoration of two-term limits for the Council could discourage some excellent potential Council candidates and would weaken the body’s ability to offset a strong mayoralty. Hence his support Monday for a three-term Council limit, and his seeming equivocation about the number of terms — two or three — that a mayor should serve. But Schwarz was unambiguous about the city’s need to maintain its strong mayoralty: Weakening the mayor’s office “would cost the city its bond rating.” Ester Fuchs concurred, arguing that strong mayoral management is crucial to New York’s ability to compete in today’s increasingly global market. Fuchs, a scholar at the Partnership for New York City, can be viewed as expressing the priorities of New York’s most influential businesses. Without admitting that his charter commission may have gone too far when it destroyed the borough presidents’ powers two decades ago, Schwarz allowed that the borough presidents’ current uncertain budgets — like that of the Public Advocate — had been “decimated” by mayors, and now render these elected officials less effective. The clearest advocate for the city’s community boards — although not for giving them enough power to be “obstructionist” — seemed to be Fuchs, who responded to a question from 2010 commission member Anthony Cassano by calling for CB budgets to be “hard-wired,” along with the budgets of the borough presidents and the Public Advocate. 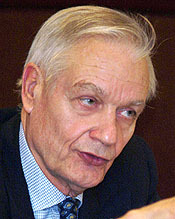 There was some useful discussion about process, with Schwarz reminding the 2010 group of their obligation to consult with the U.S. Department of Justice to rule out any Voting Rights Act problems or perceptions of unfairness to protected minorities, and of the utility of getting some preliminary proposals before the public soon. Fuchs was the only charter commission alum to explicitly criticize the ambitious scope of the Goldstein commission. She counseled Goldstein and his colleagues and staff against addressing land use in the short time the commission has to complete its deliberations. We have expressed similar concerns. But the prize for the liveliest exchange of the night went to Giuliani charter chair Randy Mastro and former Bloomberg chair Ester Fuchs. Mastro opined that term limits had boosted minority representation in the City Council. Fuchs, a trained social scientist, dismissed this, reminding Mastro, a lawyer, that he was committing a classical error by confusing correlation with causality. She reminded Mastro that a lot of other changes had occurred that could account for the increase in minority Council membership, which had coincided with the introduction of term limits. Goldstein jumped in to end the most animated segment of the session. At about 8:00 PM, when Frank Macchiarola and Fritz Schwarz found reason to disagree about their recollection of events of twenty years ago, Macchiarola loudly exclaimed to Schwarz “that’s why you didn’t want me on your commission,” and current chair Matthew Goldstein, calmly noting that Lt. Governor Ravitch already had left to respond to an emergency, ended the meeting. This entry was posted in 1989 NYC Charter, 2010 NYC Charter Revision and tagged 1989 Charter Revision, 2010 charter revision, 2010 NY charter, bloomberg charter, Board of Estimate, Borough Presidents, charter revision, Community Boards, Eric Lane, Ester Fuchs, F.A.O. Schwarz, Frank Macchiarola, Jr., Matthew Goldstein, Mayor Bloomberg, Michael Bloomberg, Michael R. Bloomberg, New York City Charter, New York City government, New york Community boards, non-partisan elections, NY charter commission, NY charter revision, NY City Council, NYC charter, NYC City Council, NYC Government, Randy Mastro, Richard Ravitch, Rudolph Giuliani. Bookmark the permalink. It’s an interesting problem. If the Borough Presidents became Deputy Mayors for each borough, would that lose independence for each borough, or gain cohesion among agencies? If actions and solutions need to be coordinated among the boroughs to achieve cost-effectiveness, and to avoid both conflicts and duplication of efforts, would it make sense to have the Mayor’s office coordinate that? I agree that the people of the City deserve to be served by an efficiently run, financially responsible management infrastructure. But first and foremost, the PEOPLE must be heard – and that means the Community Boards need to remain, and to be strengthened, if possible.